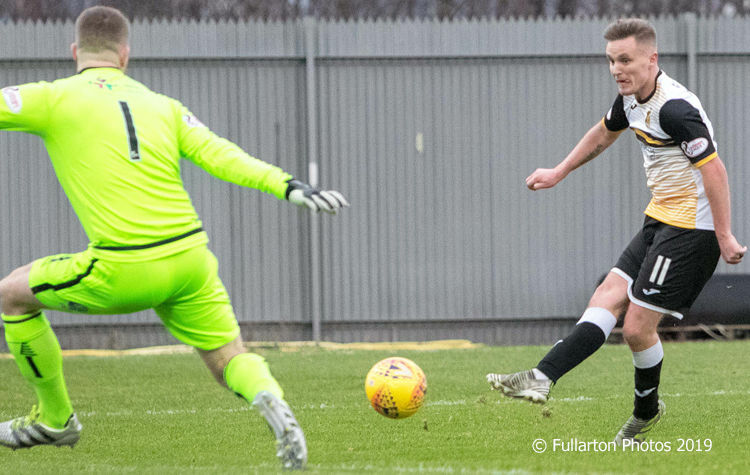 SONSTRUST man of the match Bobby Barr scored twice for Dumbarton against Forfar Athletic in the first Ladbrokes League One match of 2019, but finished on the losing side. SONSTRUST man of the match Bobby Barr scored twice for Dumbarton against Forfar Athletic at the C & G Systems Stadium in the first Ladbrokes League One match of 2019, but finished on the losing side. A crowd of 617 saw a spirited second half performance, but Sons went down 3-2 to a determined visiting side. The visitors were ahead on just four minutes, when Hilson tapped the ball home from close range. Bobby Barr (pictured) produced a clinical finish for Dumbarton at the end of a breakaway move to level proceedings on 17 minutes. But John Baird and and r4x-Son Dylan Easton grabbed two goals for Forfar right at the end of the first half to make it 3-1 and give Sons a mountain to climb after the break. Jim Duffy's men did most of the knocking at the door in the second half, and were rewarded on 84 minutes, when a Dom Thomas cross fell to the feet of Barr and he fired home. However, it was not quite enough. Despite 60 per cent possession overall, Sons were not able to find that much-needed equaliser in the closing minutes.